This service is offered on brake, exhaust work, car batteries, wiper blades, bulbs etc. Just CONTACT US by phone or email with your car details/registration number for a quote. 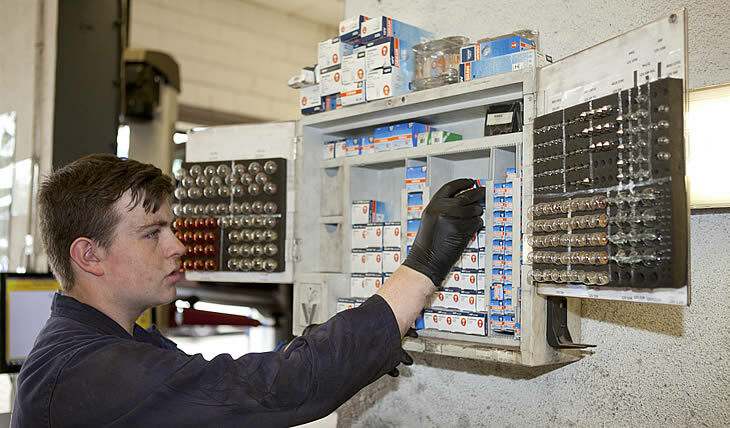 We stock a full range of BOSCH car batteries - charged and ready to fit. We carry the top 50 brake pads in stock - fitted while you wait. After initial inspection of the car we can arrange a time to suit you and fit the parts while you wait. Whatever your car requirements we are able to help. If we haven’t got the parts for your car in stock they are only 1 hour away! We can make replacement number plates for your car.